Houston, Lara, and Steven J. Jackson. 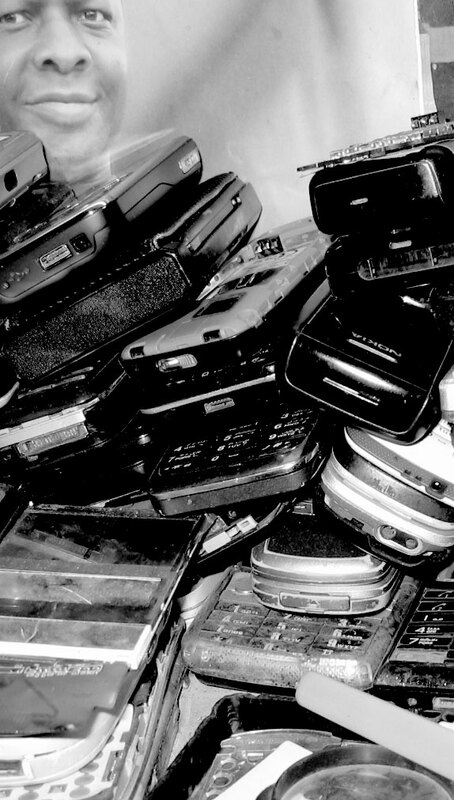 "Caring for the next billion mobile handsets: opening proprietary closures through the work of repair." In Proceedings of ACM ICTD, 2016. Houston, L., S. J. Jackson, D. K. Rosner, S. I. Ahmed, M. Young and L. Kang. (2016) "Values in Repair" to appear in Proceedings of CHI'16. Jackson, S. J. (2014) “Rethinking Repair,” in T. Gillespie, P. Boczkowski, and K. Foot, eds. Media Technologies: Essays on Communication, Materiality and Society. MIT Pr. Jackson, S. J., and L. Kang (2014) "Breakdown, Obsolescence and Reuse: HCI and the Art of Repair," CHI'14. Rosner, D. K., and M. G. Ames. (2014) Designing for Repair? Infrastructures and Materialities of Breakdown. CSCW'14. Rosner, D. K. and F. Turner (2014) "Theaters of Alternative Industry" In Design Thinking Research eds. C. Meinel and L. Leifer. S. J. Jackson, S. I. Ahmed, and M. R. Rifat, "Learning, Innovation, and Sustainability Among Mobile Phone Repairers in Dhaka, Bangladesh," in Proceedings of the 2014 Designing Interactive Systems Converence, Vancouver, June 2014. Rosner, D. K. and A. S. Taylor. (2012) Binding and aging. Journal of Material Culture 17(4) 405-424. Rosner, D. K. (2012) The Material Practices of Collaboration. In Proc. of CSCW'12. Steven J. Jackson, Alex Pompe and Gabriel Krieshok, “Repair Worlds: Maintenance, Repair, and ICT for Development in Rural Namibia,” in Proceedings of the 2012 Computer-Supported Cooperative Work (CSCW) Conference, Seattle, Washington, Feb 11-15, 2012. Rosner, Daniela K., Steven J. Jackson, Garnet Hertz, Lara Houston, and Nimmi Rangaswamy. "Reclaiming repair: maintenance and mending as methods for design." In CHI'13 Extended Abstracts on Human Factors in Computing Systems, pp. 3311-3314. ACM, 2013. This project will advance core understanding of maintenance and repair practices and connect these to long-standing concerns around the design, innovation, and sustainability of new computational tools and infrastructures. Technology maintenance and repair constitute central elements in the long-term impact and sustainability of computing tools and infrastructures. While there is tremendous need for understanding their effects on engineering development, maintenance and repair have been systematically underrepresented in human-computer research to date. By improving the design-repair nexus, this project seeks not only to study sustainability but also enhance it. Pedagogically, it develops new repair-centered teaching and learning strategies for education in engineering and the social sciences. Supported under NSF grant #1423074. Deploying a mix of ethnographic, institutional, and participatory methods, the research team will explore and enhance the design-repair nexus across three crucial sites: (1) the rapidly growing amateur repair movements in North America and Europe; (2) global circulations of repair knowledge and innovation within livelihood repair communities in the global South (represented through field studies in Bangladesh and Sub-Saharan Africa); and (3) the growing sustainability or green computing programs and operations of large-scale information technology manufacturers. This program of research and engagement will deliver both theoretical and practical benefits, and will extend the reach of computer and information science to previously neglected sites and practices key to emerging real-world computing practices and challenges. This project gathers and extends a growing body of research on maintenance and repair to propose new approaches to the design, innovation and sustainability of computational artifacts and infrastructures. The research makes three central contributions: (1) It charts novel forms of practice, value, and engagement embedded in repair, and their relationship to the better-analyzed practices of industrial engineering, hacking, and other design-centered or interventionist forms of engagement. (2) It will offer new empirical and theoretical insight into the real-world mechanics of sustainability: the practices and institutions by which computing devices, systems and infrastructures are made sustainable in the world (or alternatively, discarded and replaced). (3) It broadens the geographic and analytic reach of computer and information science by examining practices of repair, maintenance and sustainability in sites traditionally marginal to human-computer research that constitute the long tail of real world computing experience.